I don't think this one really needs an introduction, do you? 2600 years ago-- King Nebuchadnezzar II was inspired by Marduk to build a great engine, but the frightened Babylonians tore the tower housing it down, leading four of the god's disciples to escape with some parts of this "Infernal Machine". Once Upon a Time--JACK AND THE BEANSTALK--Looking through the book of quests, the booker finds "the ark of the covenant" and then adds, "That's reserved for the chap with the hat and the whip." 1872--Birth of Henry Jones Senior. 1898--Marriage of Henry and Anna Jones. June 1899--Henry Jones Sr. graduates from Oxford. July 1, 1899--Birth of Henry Walton Jones Junior. The Story: Another case involving the Cthulhu Mythos! Notes: There is a moment where the bloated corpse of an archaeologist named Jones is found in the jungle. Surely this is meant to invoke Indiana Jones, but since this story takes place before Jones was even born, and since we know his father didn’t die in the 19th century either, we can’t count this as a real crossover but it’s worth mentioning due to the implied crossover. The Lovecraft crossover however is very solid. 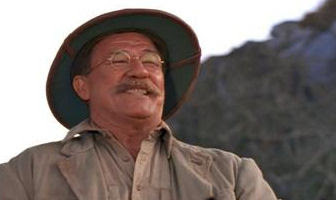 I guess there must be more than one archaeologist named Jones in the world. September 1908--YOUNG INDIANA JONES CHRONICLES--"Paris, September 1908"--Young Indy meets Pablo Picaso. Picaso also appears in TARZAN (DARK HORSE COMICS). 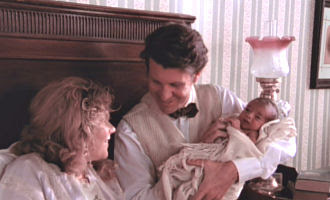 1909--YOUNG INDIANA JONES: TRAVELS WITH FATHER--Indy meets Leo Tolstoy. January 1910--YOUNG INDIANA JONES--"January 1910"--The Jones family visits Benares, India. March 1910--Young Indiana Jones--"March 1910"--Peking, China. May 1912--Indy's mother dies of scarlet fever. June 1912--YOUNG INDIANA JONES AND THE PIRATES' LOOT--Indy looks for treasure in New England. July 1912--INDIANA JONES AND THE LAST CRUSADE (PRELUDE)--Indy has an adventure in his own town in which he first gets his hat and his fear of snakes, and first uses a whip as a weapon/tool. Spring 1913--YOUNG INDIANA JONES AND THE PLANTATION TREASURE--Indy retraces the steps of a slave on the underground railroad. Summer 1913--YOUNG INDIANA JONES AND THE TOMB OF TERROR--Egypt. Summer 1913--YOUNG INDIANA JONES AND THE PRINCESS OF PERIL--Indy meets a princess in Russia (Georgia), while dad looks for the Holy Grail. Late October 1913--YOUNG INDIANA JONES AND THE GHOSTLY RIDERS--England. December 1913--YOUNG INDIANA JONES AND THE CIRCLE OF DEATH--Indy returns to America. January 1914--YOUNG INDIANA JONES AND THE JOURNEY TO THE UNDERWORLD--Athens. Spring 1914--YOUNG INDIANA JONES AND THE CURSE OF THE RUBY CROSS--New York. He made it there, so he made it everywhere. May 1914--YOUNG INDIANA JONES AND THE GYPSY REVENGE--Young Indy meets the descendants of THE MAN IN THE IRON MASK. June 1914--YOUNG INDIANA JONES AND THE SECRET CITY--Turkey. October 1914--YOUNG INDIANA JONES AND THE MOUNTAIN OF FIRE--In Hawaii, Indy has to deal with an active volcano and German spies. November 1914--YOUNG INDIANA JONES AND THE FACE OF THE DRAGON--China. December 1914--YOUNG INDIANA JONES AND THE EYE OF THE TIGER--Indy saves a friend from a cursed amulet. March 1916--YOUNG INDIANA JONES--"Young Indiana Jones and the Curse of the Jackal"--Indy joins the Mexican Revolution, then joins the war in Europe. Pancho Villa, General Pershing, and Lt. George Patton appear. Pancho Villa also appears in FROM DUSK TILL DAWN 3: THE HANGMAN'S DAUGHTER. Patton also appears in AN AMERICAN CAROL. April 1916--YOUNG INDIANA JONES--"April 1916"--Ireland. April 1916--While Indy is in Ireland, his dog, Indiana, dies. May 1916--YOUNG INDIANA JONES CHRONICLES--"London, May 1916"--Young Indy meets Winston Churchill. Churchill also appears in THE EARTHQUAKE MACHINE, and INGLORIOUS BASTERDS. Early to Mid August 1916--YOUNG INDIANA JONES--"August 1916: Prisoner of War"--Indy is captures by the Germans and has to escape the prison camp. August 1916--YOUNG INDIANA JONES--"Unaired episode"--Indy outsmarts the Germans by pretending to be a double agent. September 1916--THE MATA HARI AFFAIR--"September 1916: The Peril of the Fort (aka Field of Death)"--Indy in France. October 1916--THE MATA HARI AFFAIR--"October 1916: The Mata Hari Affair"--Indy meets Mata Hari. November 1916--YOUNG INDIANA JONES AND THE PHANTOM TRAIN OF DOOM--Indy is transferred to Africa. December 1916 to January 1917--YOUNG INDIANA JONES--"Trek of Doom"--An African adventure. January 1917--YOUNG INDIANA JONES--"Congo"-A dangerous mission through the Congo. March 1917--YOUNG INDIANA JONES--"The Secret Peace"--Indy is on a secret mission in Vienna. May 1917--YOUNG INDIANA JONES CHRONICLES--"Spain, May 1917"--Indy and Picasso meet again. July 1917--YOUNG INDIANA JONES--"Revolution!" --Indy celebrates his 18th birthday while working for French Intelligence in Petrograd under the alias of Captain Henri Defense. August 1917--YOUNG INDIANA JONES--"Prague"--Indy works in French Intelligence under Colonol Clouseau!!! October 1917--YOUNG INDIANA JONES--"Palestine"--Lawrence of Arabia appears again. January 1918--YOUNG INDIANA JONES CHRONICLES--"Transylvania, January 1918"--Young Indy battles the real Dracula (as opposed to a soul clone) and believes that he kills the vampire, but we know better. June 1918--YOUNG INDIANA JONES--"June 1918"--Indy meets Ernest Hemingway. Hemingway has also appeared in CELEBRITY DEATH MATCH. July 1918--YOUNG INDIANA JONES--"Northern Italy"--Indy travels to visit his girlfriend. September 1918--YOUNG INDIANA JONES--"Istanbul"--Indy is working with spies posing as reporters. October 1918--YOUNG INDIANA JONES--"October 1918"--Death of Indy's fiance, Molly. November 1918--ADVENTURES OF YOUNG INDIANA JONES: TREASURE OF THE PEACOCK'S EYE--Young Indy is in search of a diamond once owned by Alexander the Great. May 1919--YOUNG INDIANA JONES CHRONICLES--"Paris, May 1919"--Indy again meets Laurence of Arabia. June 1919--YOUNG INDIANA JONES: TRAVELS WITH FATHER--Indy visits his father in Jersey. May 1920--INDIANA JONES AND THE PERIL OF DELPHI (PROLOGUE)--Indy graduates from the University of Chicago. I'm not exactly sure how this was accomplished when he spent the past four years of in war, intrigue and adventure. Maybe he was taking correspondence courses. June to July 1920--YOUNG INDIANA JONES AND THE SCANDAL OF 1920--Indy turns 21 and meets George Gershwin in Broadway. October 1922--INDIANA JONES AND THE PERIL AT DELPHI--Indy finishes his undergrad degree somehow despite never being there, and starts grad school. 1924--INDIANA JONES AND THE UNICORN'S LEGACY--France. Summer 1925--INDIANA JONES AND THE DANCE OF THE GIANTS--Indy finishes grad school (more realistically since he only had one adventure away from school during his grad school time.) He gets his first teaching job in London. Indy researches the origins of Stonehenge and finds a druid conspiracy in British Parliament. March to May 1926--INDIANA JONES AND THE SEVEN VEILS--Death of Indy's wife, Dierdre. May to July 1927--INDIANA JONES AND THE GENESIS DELUGE--Indy searches for Noah's Ark. May to September 1928--INDIANA JONES AND THE UNICORN'S LEGACY--Indy is teaching in New England. May to September 1929--INDIANA JONES AND THE INTERIOR WORLD--Indy searches for Marcus Brody's missing brother and seems to travel to an alternate dimension. 1930--INDIANA JONES AND THE SKY PIRATES--Indy investigates flying disks that are taking down aircraft. 1930--INDIANA JONES AND THE WHITE WITCH--Indy's friend has possession of Merlin's Scabbard, which makes the user bullet proof. 1931--INDIANA JONES AND THE SHRINE OF THE SEA DEVIL--Indy foils a museum heist. 1932 to 1948--THE WORLD OF KONG: A NATURAL HISTORY OF SKULL ISLAND--DOC SAVAGE and TARZAN employ Denham to return to Skull Island to do documentary filming. Skull Island is said to be "the Menace of the Monsters". Joining in on the expedition were INDIANA JONES, Alex O'Connell (famous for taking down THE MUMMY), and Joshua Williams (from "Joshua Williams Breaks a Date"). (TARZAN couldn't make it due to events seen in TARZAN ALIVE). Roland Tembo is amongst the expedition as well. Tembo's CINEVERSE counterpart appears in THE LOST WORLD: JURASSIC PARK. SON OF KONG is a fictionalized version of events that actually happened during this expedition. March 1933--INDIANA JONES AND THE PHILOSOPHER'S STONE--Another crystal skull from an ancient civilization figures into this story. June 1933--INDIANA JONES AND THE CURSE OF HORROR ISLAND--Indy visits an island said to be cursed. June 1933--INDIANA JONES AND THE GIANTS OF THE SILVER TOWER--Indy takes on the Yeti. October to December 31, 1933--INDIANA JONES AND THE DINOSAUR EGGS--Another supernatural crystal skull and Nazis. Early 1934--INDIANA JONES AND THE HOLLOW EARTH--??? June 1934--INDIANA JONES AND THE CULT OF THE MUMMY'S CRYPT--An ancient cult resurrects mummies and genetically engineers killer cats. Mid 1930s--INDIANA JONES AND HIS DESKTOP ADVENTURES--Indy has to unlock a number of puzzles. 1935--INDIANA JONES AND THE EMPEROR'S TOMB--Indy discovers the tomb of Emperor Qin Shi Huang. 1935--INDIANA JONES AND THE AVALON INHERITANCE--Indy heads to London to search for a Celtic crown. March 1 to 2, 1936--22-KARAT DOOM--??? March 3, 1936--THE DEVIL'S CRADLE--??? March 4 to 5, 1936--GATEWAY TO INFINITY--??? March 6, 1936--CLUB NIGHTMARE--Marion appears. March 7 to 8, 1936--AFRICA SCREAMS--Marion appears. This should not be confused with the Ollu and Buzsla adventure of the same name. March 9 to 10, 1936--THE GOLD GODDESS--Marion appears. March 11 to 12, 1936--THE FOURTH NAIL--Marion appears. March 17 to 18, 1936--THE SEARCH FOR ABNER RAVENWOOD--Marion appears. March 20 to 22, 1937--THE ARNHEM RING--Marion appears. March 23, 1937--THE SECRET OF THE DEEP--Marion appears. March 26 to 27, 1937--TRAIL OF THE GOLDEN GUNS--Short Round appears. Fall 1937--INDIANA JONES AND THE ARMS OF GOLD--Indy moves to New York. Fall 1937--INDIANA JONES AND THE EYE OF THE FATES--Indy finds Perseus' shield and visits Mount Olympus in his quest to find the eye of the Fates. 1938--THUNDER IN THE ORIENT--Indy searches for a tablet inscribed by Buddha himself. 1938--INDIANA JONES AND THE LOST TREASURE OF SHEBA--Indy uses a treasure map to find the lost treasure of the Queen of Sheba. 1938--INDIANA JONES AND THE LAST CRUSADE--Indy works with his father and discovers the Holy Grail. The Story: Treasure hunter Fabian Gray finds the Dreamstone which causes him to share his body with the ghosts of Sherlock Holmes, Dracula, Merlin, Robin Hood, and Miyamoto Musashi. At the same time, his sister’s soul is taken by the Old Gods. Using the abilities of those whose souls he possesses, he must quest to retrieve his sister’s soul. In his opposition are agents of the Old Ones, including Iago the Betrayer. Notes: At this writing, the series has had 12 issues and is still going. It has completed two story arcs. Sherlock Holmes is not dead at this time, based on the bulk of Holmes stories that currently exist as canon with the Horror Universe. However, this doesn’t mean we have to place this in a divergent reality. Based on the research of my colleague James Bojaciuk, there seems to be some evidence that there was a tulpa who embodied the characteristics of Sherlock Holmes, and perhaps that tulpa is the ghost of this story. The Dracula of this story probably is the original from Bram Stoker’s novel, and yet I’m still going to apply the soul clone theory here. Part of the theory is that while Dracula rests in the soil of his home, he astrally projects himself out to control his clones. It could be that the Dreamstone intercepted Dracula’s astral form. Miyamoto Musashi is a real historical figure who lived from 1584 to 1645. Robin Hood and Merlin were legendary figures possibly based on real figures. These three do not count as crossovers. Iago is from Shakespeare’s Othello. The first story arc concludes in Shangra-La from Lost Horizon. Besides having the Old Ones as the main bad guys, Lovecraft himself appears to assist the nameless, villainous conspiracy. Lovecraft has a notebook which has notes about Dunwich, the Necronomicon, and Cthulhu. Lovecraft died a year before this story takes place. Either he died later in the Horror Universe, or he somehow was resurrected. This isn’t the first story to portray Lovecraft as being more involved in the actual mythos that he wrote about. In the second arc, Fabian has a Sankara Stone shipped to his house. The Sankara Stones are from Indiana Jones and the Temple of Doom. Fabian meets a female pirate who is possessed by the ghost of Sinbad. One of Fabian’s foes is possessed by Caliban. The story conflates the island from the Tempest with Jules Verne’s Mysterious Island. The witch who rules the island fears the island will sink back into the Dreaming. May 1939--INDIANA JONES AND THE FATE OF ATLANTIS--Indy and the Nazis race to find Atlantis. 1939--INDIANA JONES AND THE SARGASSO PIRATES--Indiana comes upon an island where the people stranded there are descendants of pirates, living there their whole life, and only knowing the pirate life. Indy escapes leaving them there. I wonder if these are the same pirates SUPERMAN later discovers. July 1939--INDIANA JONES AND THE APE SLAVES OF HOWLING ISLAND--Indy encounters a demonic scientist and mad apes on Howling Island. July 1939--INDIANA JONES AND THE LONGSHIP OF THE GODS--Indy discovers a spaceship frozen in ice. July 1939--INDIANA JONES AND THE LOST PEOPLE--Indy discovers some living members of an Indian tribe thought extinct. 1939--INDIANA JONES AND THE STAFF OF KINGS--Indy and the Nazis race to find the Staff of Moses. November 1939--INDIANA JONES AND THE RELIC OF GOTHAM--Little known artist Bob Kane finds a relic that is sought after by Nazis and INDIANA JONES, bringing them all to Gotham, where Batman and the Joker get involved. 1940--INDIANA JONES: THE DANCE OF DEATH--Indy fights the Four Horsemen of the Apocalypse. He seems to kill them, but that's impossible, and they will return again in the TVCU. The Story: Lance Star and his team are sent by the government on a mission to Tibet to find a legendary war ace. Notes: This anthology was a collection of new stories about the classic pulp hero Lance Star....who never actually existed as a classic pulp. In reality, he is an original character created cleverly for this anthology. Red Apple Cigarettes appear in this story. The story also features the Belmont Arms hotel in San Francisco. This is from the film Shock, which is more of a thriller than a horror film, but close enough for me. Doc Savage elements are sprinkled throughout the story. One of the team’s government contacts is a man named Lee, who is James Lee, the star of his own series of espionage and mystery stories. The villain of this tale is Doctor Natas, who in Doc Ardan: City of Gold and Lepers was shown to actually be Fu Manchu, while Ardan himself was actually Doc Savage. At one point, Star refers to a bookworm archaeology professor who defeated the Thuggee. This is Indiana Jones. Finally, the ace being sought after is revealed to be the Red Falcon, who is the grandfather of the Marvel Comics hero Iron Fist. Note that this brings in Marvel’s Iron Fist, but only his solo stories during the first 20-ish years from his first appearance, as Marvel doesn’t age their characters normally, but the Horror Universe does move normally in time, so Iron Fist would be realistically too old by the mid to late 1990s to keep adventuring. Also, this does not bring in any team-ups between Iron Fist and other comic book heroes. April to May 1941--INDIANA JONES AND THE GOLDEN FLEECE--Indy and the Nazis race to find the Golden Fleece. Summer 1941--INDIANA JONES AND GENGHIS KHAN'S SWORD--Indy finds Genghis Khan's cursed sword. Late 1941--INDIANA JONES AND THE SECRET OF THE EASTER ISLANDS--The Nazis have set up a base on Easter Island. December 9 to 10, 1941--ALL-STAR SQUADRON # 5 to 6--"Never Step on a Feathered Serpent/Mayhem in the Mile-High City"--Indiana Jones is mentioned, as are the events of RAIDERS OF THE LOST ARK. The All-Star Squadron is in the TVCU because of the graphic novel THE GOLDEN AGE, which is connected to STARMAN, who has met BATMAN and HELLBOY, as detailed in CROSSOVERS. However, it needs to be said that in the TVCU, the general public was not aware of these "mystery men" who worked with the FBI. 1943--CAPTAIN AMERICA: THE FIRST AVENGER--Captain America pursues Krueger in his car, and climbs toward the front along the passenger side. When he reaches the front, Krueger shoots him. The same thing happens to Indy during the Desert Chase scene in Raiders. Director 'Joe Johnston' was in the special effects crew of that film as well. Additionally, the Red Skull scoffs, "And the Fuehrer digs for trinkets in the desert.'' This refers to the plot of Raiders. 1944--THE DEVIL'S ROCK--Demon says "[Hitler] had within his grasp the Ark of the Covenant"
The Story: Alison returns to school and has adventures that would rival Indiana Jones or Lara Croft. Notes: Alison Dare is the child adventurer of a series of young adult graphic novels. Tintin briefly appears in cameo and a picture of Indiana Jones appears. In Alison’s mom’s museum are the Ark of the Covenant, Sankara Stones (from Raiders of the Lost Ark and Temple of Doom), the broken ear statue (from Tintin and the Broken Ear), and the Right Hand of Doom. The Right Hand of Doom is Hellboy’s right hand, but this is prior to Hellboy’s birth. However, the Hellboy mythos indicate that there have been previous demons who wielded the power of the Right Hand of Doom. March 1945--INDIANA JONES AND THE SPEAR OF DESTINY--Indy and his father head into Russia to retrieve the Spear of Destiny, captured by the Soviets from the Germans after Germany's defeat. Hitler had possession of the Spear during the war, which he used to prevent American super-humans from invading. The Story: Late war-time story involving the Manhattan Project and espionage. Notes: One of the scientists on the Manhattan Project is from Miskatonic University, famous from Lovecraft’s Cthulhu Mythos. Two agents that appear are meant to be the same agents who secured the Ark at the end of Raiders of the Lost Ark. 1947--INDIANA JONES AND THE INFERNAL MACHINE--Indy and the Soviets race to find the parts to an ancient machine that can allow travel to alternate dimensions. 1948--INDIANA JONES AND THE IRON PHOENIX--Indy searches for the Philosopher's Stone. 1950--YOUNG INDIANA JONES AND THE MYSTERY OF THE BLUES--Indy is in Wyoming trying to save an Indian relic. 1957--INDIANA JONES AND THE KINGDOM OF THE CRYSTAL SKULL--Indy is reunited with Marion and discovers Henry Jones III, his son. 1961--CAROLINA JONES AND THE BROKEN COVENANT--Nazi's have learned the secret location of the Ark 25 years after Indiana Jones last snatched it from their clutches. So, he sends his only daughter Carolina to send on a quest to find it. She is joined by a Southern Belle named Dixie and along the way both women have to confront the greatest loves of their lives - some good, some bad. 1961 to 1992--Sometime in this era, Indy will lose one of his eyes. September 1989--MACGYVER--"Legend of the Holy Rose"--When Zoe asks Mac to help her search for the Holy Grail, Mac answers that Indiana Jones already found it ("I saw the movie."). 1992 to 1996--Indy is now an old man, who loves to tell stories about his adventurous youth. 1996--DUKE NUKEM 3D--In a secret place in the eighth level of the third episode, Hotel Hell, Duke finds the cropse of Indiana Jones pined to a wall, to which he reacts by quoting "We meet again, doctor Jones!" 1996--TOMB RAIDER--On the training level in Lara's mansion, the Ark of the Covenant is jokingly placed in the foyer. 1998--TOMB RAIDER III: ADVENTURES OF LARA CROFT--The golden idol in Lara's Treasure Room resembles the one from the movie. 2002--DAYBREAK--The warehouse scene at the start of the film where the mysterious crates were heisted was inspired by the closing shot of Raiders of the Lost Ark. 2004--TEAM AMERICA: WORLD POLICE--chasing terrorists, team America accidentally blows up the entrace to the lair of the Holy Grail or a mini replical of the one from the Jones trilogy. 2004--THE LIBRARIAN: QUEST FOR THE SPEAR--Flynn thinks that he destroyed the Holy Grail on display in the library. 2005--MERCENARIES: PLAYGROUND OF DESTRUCTION--During a news report a ticker message reads "Egyptian artifact found packed in crate in government warehouse since 1936." Indiana Jones is an unlockable skin. November 2005--FAMILY GUY--"The Courtship of Stewie's Father"--Peter, dressed as Indiana Jones and Stewie, dressed as Short Round are chased by a turban-wearing guard named Ahmed through a mineshaft, parodying Indiana Jones and the Temple of Doom. Upon luring the guard away, Michael Eisner tries to rip out Peter’s heart parodying Mola Ram from Temple of Doom, but falls down a cliff by the Jungle Cruise and is ripped apart by crocodiles. During a cut-away scene Peter is conducting the Tusken Raider Choir. The Tusken Raiders run away, when Obi-Wan Kenobi enters to say that the Sand People frighten easily but they'll be back and in greater numbers. This specific line is a scene from Star Wars. In the scene where Peter rescues Stewie from “It’s a Tiny World” and Ahmed the guard goes after them, Peter’s line to distract him, “Hey, look over there! There’s a woman learning!” was cut on the FOX version, presumably because it would cause offense to Muslims. The Adult Swim and DVD versions have the line intact. When Peter’s socially awkward and “burden of the state” supervisor, Opie, is promoted, the evil Decepticon Soundwave (from The Transformers) inherits his job. Soundwave has a wife he met in a Christian chat room, and carries a picture of his family that transforms into a cassette tape. Compared to “When You Wish Upon a Weinstein”, it had previously established Optimus Prime, leader of the opposing Autobots, as Jewish. Peter realizes that Stewie has run off whilst they are shopping in a Disney shop. He spots the Crows from the Disney film Dumbo sitting in the shop. He asks them if they have seen Stewie. The response: "Well I done seen about everything but I sure no seen your boy no how" in an African dialect. Peter's response is the same: "Ahh, that's good old fashioned family racism." 2007--MERCENARIES: PLAYGROUND OF DESTRUCTION--An Indiana Jones who appears to be in his 30s is seen in North Korea. It's unclear if this was due to time travel, rejuvination, cloning, mistaken identity or a relative. October 2007--SOUTH PARK--"Imagionationland"--Indiana Jones is in Imaginationland. February 2008--FAMILY GUY--"Back to the Woods"--James Woods is carted away, like the Ark, by "top men..."
March 2009--GOSSIP GIRL--"The Grandfather"--Maureen says that Tripp wanted be an archaeologist in college, like Indiana Jones. June 2010--FAMILY GUY--"Partial Terms of Endearment"--When Lois is at the fertility clinic, she is being inseminated by howitan blowgunners. When she protests, the doctors says "Well you could tell them, if you only spoke howitan", which is a direct quote from the beginning scene of "Raiders of the Lost Ark"
November 2010--SIMPSONS--"How Munched is that Birdie in the Window?" --Marge says, "Everyone has animals they can't stand. Indiana Jones had snakes." March 2011--COMMUNITY--"Critical Film Studies"--Abed says that he thought he had purchased "Indiana Jones's real whip" from a seller on eBay, but then he found out it was a fake. June 2011--WHITE COLLAR--"Where There's a Will"--The Ark of the Covenant appears among the treasures in the upper left corner of the image shown by Mozzie's "treasure camera". October 2011--CASTLE--"Eye of the Beholder"--Castle says to Serena, "So, you were kinda like the female Indiana Jones, only without the hat and whip?" The Story: A Satanic cult tries to bring Hell on Earth. Notes: Every single series listed in the crosses above has already crossed with Secret Histories or Green’s other series, Nightside. Thus, it seems redundant to list them all again here. July 2012--WAREHOUSE 13--"An Evil Within"--Myka's fear of tentacle is compared to I. Jones' fear of snakes. LEGO UNIVERSE--The stories adapted by Lego are told slightly differently, thus take place in an alternate reality. LOONIVERSE--This universe's Indiana Jones has appeared on TINY TOON ADVENTURES. ROBOT CHICKEN UNIVERSE--Indy of his universe appears a few times. ULTIMA DIVERGENT TIMELINE--In the divergent timeline of the Ultima games. particulary Ultima IV: Quest of the Avatar, Short Round claims to work for "Jones" and says "I think Indi's on a quest!" 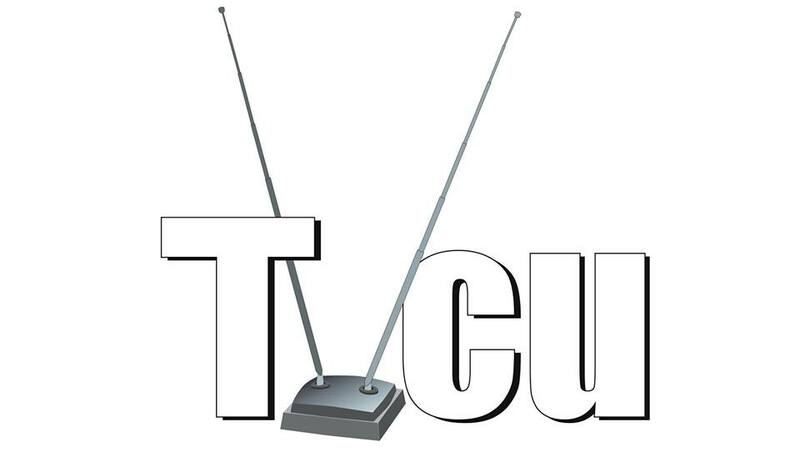 Coming up next, a blog from TVCU blogger James Bojaciuk. I haven't yet determined if the Time Tunnel is in the Television Crossover Universe since there doesn't seem to be any crossover connections. (I don't count real people as connectors.) I actually have listed The Outlaw is coming in my Three Stooges blog, with mentions of Earp and Billy, so I'm kind of disappointed in myself for forgetting to mention it, and in IMDB for also forgetting. LOL. This time next year, when I post an update of this blog, I'll make sure to make those corrections. Lots of good stuff here, including many stories I haven't heard before (I assume that many are in those Indiana Jones comic anthologies that keep popping up in my Amazon recommendations). Also, I really must watch INDIANA JONES AND THE RELIC OF GOTHAM one of these days. "Early 1934--INDIANA JONES AND THE HOLLOW EARTH--???" This one I have heard of, and even read. Ha ha. One pedantic point of correction - the Star Trek episode with the Ferengi at Roswell, "Little Green Men", was a DS9 episode, not Voyager. I knew it was DS9. My fingers apparently didn't. is lego all in one universe then? Yes, Lego is its own separate reality with all its original and licensed characters. In the section "THE GOOD, THE BAD, AND THE UNCANNY (NOVEL BY SIMON R. GREEN)" is a mention of the Hand of Glory. A Hand of Glory appeared on The Dresden Files "Walls".